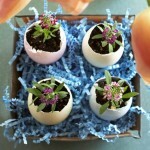 Treat yourself and your loved ones with unusual and colorful Easter eggs. 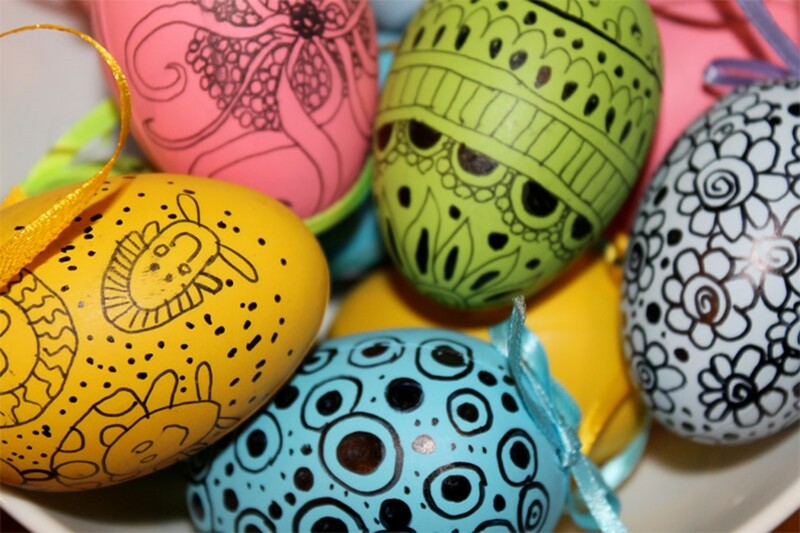 Thanks to your imagination and skill conventional eggs can turn into true works of art. 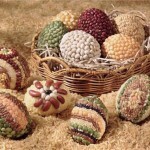 Eggs with beads look very elegant. You need to take hard-boiled eggs, and put them in melted paraffin. Paraffin (debris or leftover candles) melt into a wide metal container (you can use any tin can) on the stove. 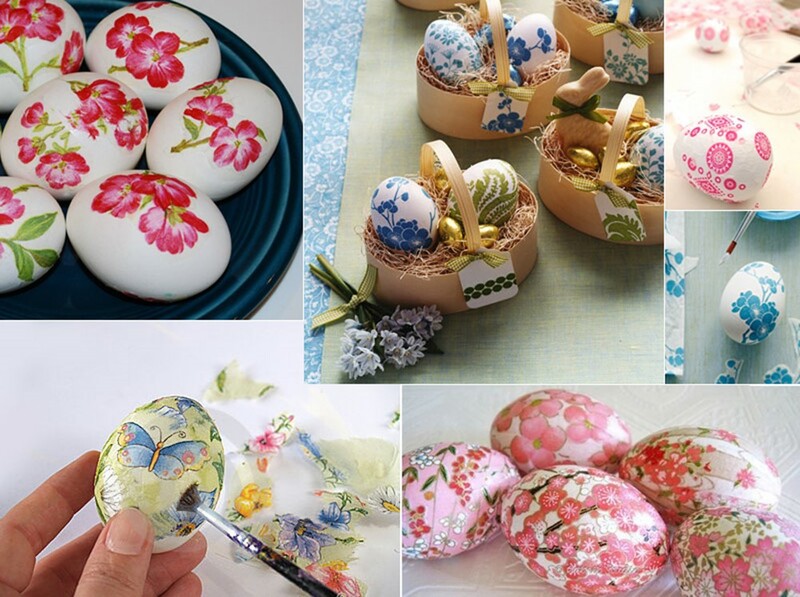 Begin to decorate when egg is completely covered with paraffin and sufficiently cool so that the wax does not stick to your hands. First, use thin needle apply desired pattern on wax layer. Use tweezers to take one bead of the desired color, each heated in a flame of a candle is not more than 1-2 seconds and stick it on paraffin egg. Upon contact with the heated beads wax melts and beads sticks firmly. This way you can create a really work of art. 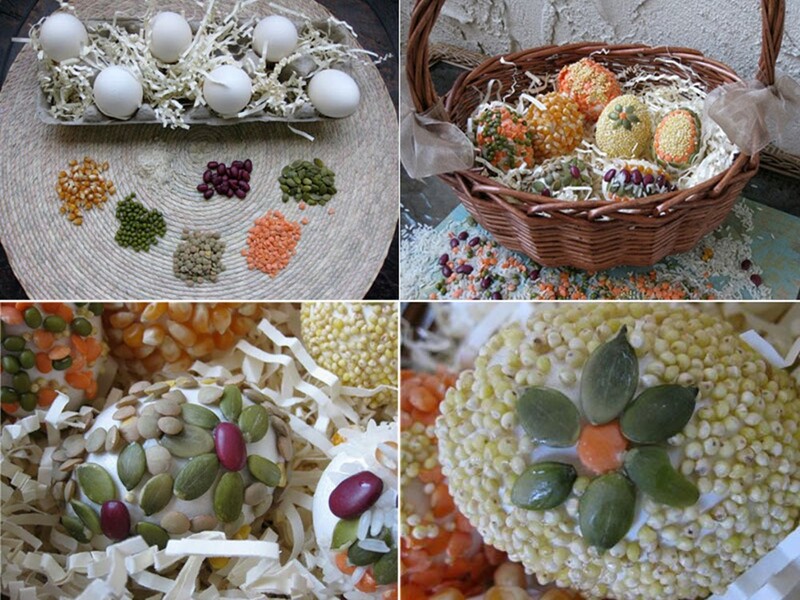 For decorating Easter eggs, you can use various grains (rice, lentils, millet, corn grits, black pepper, etc.) or small pasta. Hard-boiled eggs coated with paste and put them on the rump. Cereals can be laid in various patterns. How to make the paste? On 1 glass of water take 1 spoon of starch. In boiling water pour a thin stream of starch dissolved in cold water (starch diluted in a little volume of cold water to avoid lumps), boil the mixture for 1-2 minutes, cool. The paste is ready. 3. 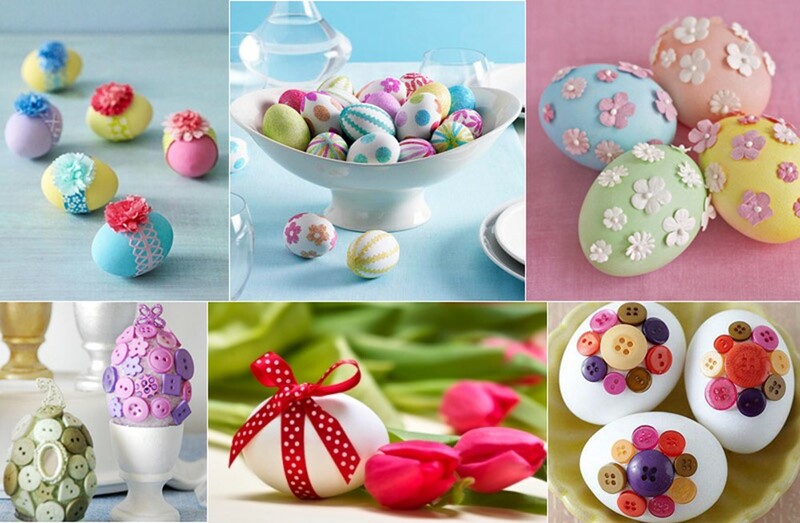 Eggs, decorated with lace, bows, beads, paper decorations, etc. 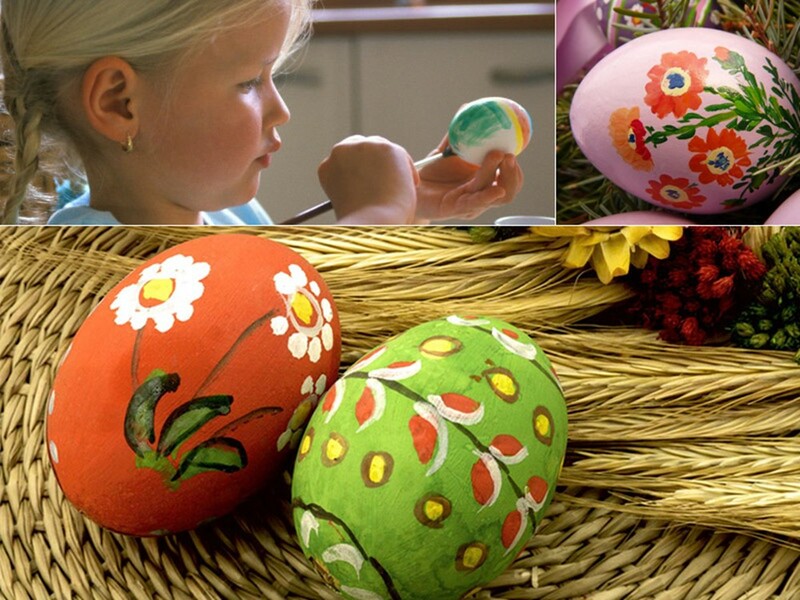 Painted eggs can be decorated with lace, ribbons, beads, buttons and other accessories for sewing, gluing decorations with white glue or paste. Thus crayons will melt and create beautiful patterns. When coloring eggs, put it on the stand, after the completion of work left to dry within the hour. Take welded, painted in a dark color eggs. Then make openwork pattern with a sharp object such as a knife, awl, scissors or thick needle. 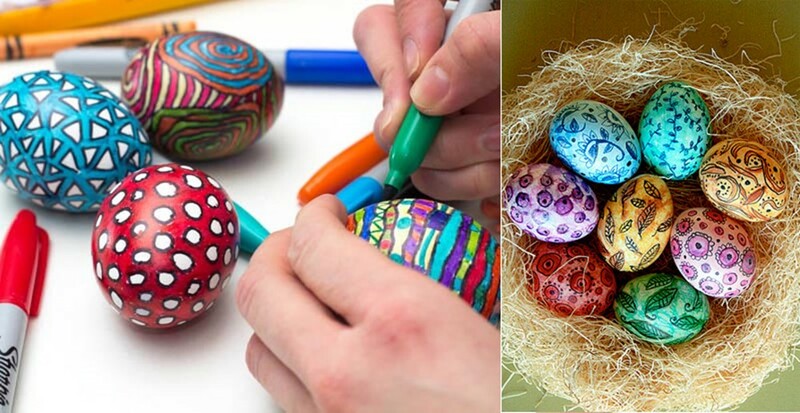 But before you scratch pattern, it is necessary to apply the egg with a pencil. 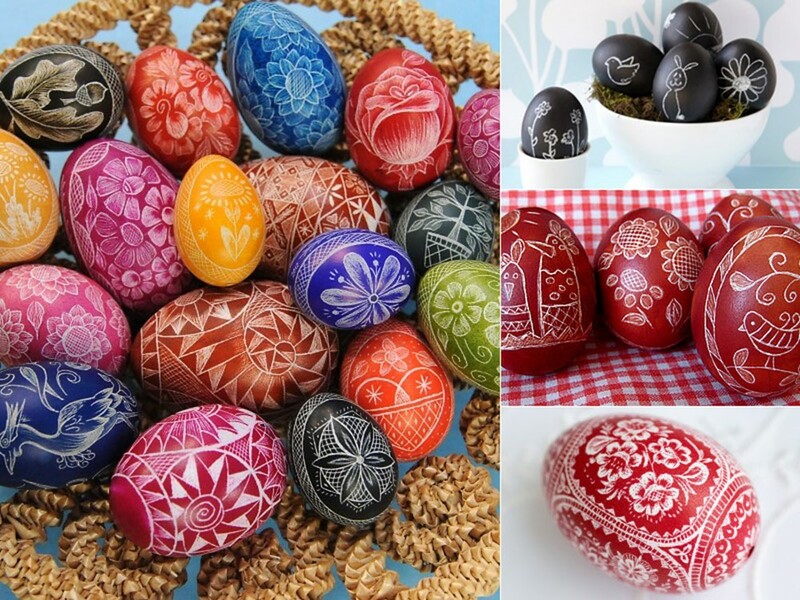 Lighter scribbled drawing on dark eggs looks very elegant. 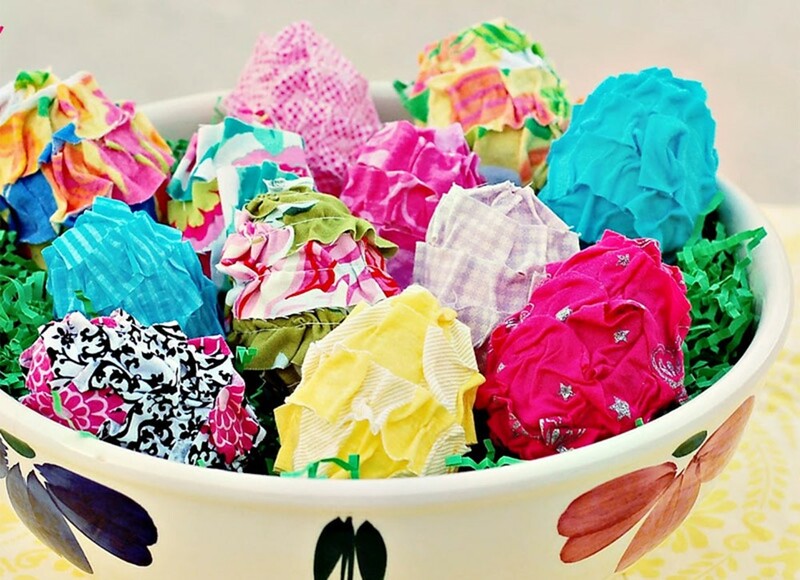 For decorating Easter eggs in the technique of decoupage, you can get fancy napkins with bright spring pattern. Favorite pictures cut out and neatly glue them with white glue (for security as a glue you can use egg white) on the surface of a boiled egg, on top once again coated with glue. Then let decorated egg to dry. 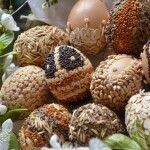 Boiled eggs coated with glue or paste (or egg white), sprinkle small multi-coloured sequin, allowed to dry. The top is again coated with the adhesive (glue, paste, egg white). 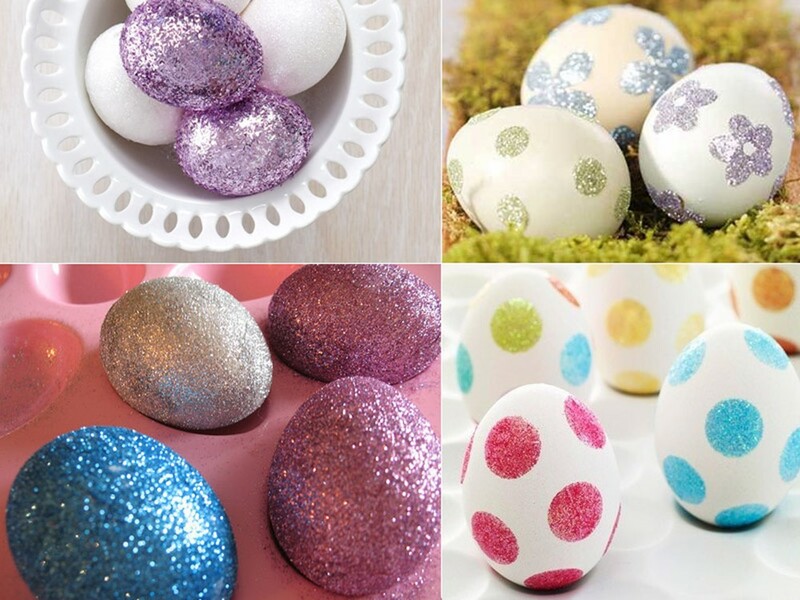 If the adhesive is applied not to the entire surface of the white of egg, and individual points, circles, contours and sprinkle glitter, sequins will only stick to the coated places and you will get a white egg with a brilliant picture. Another way. From double-sided adhesive tape cut out circles, flowers, and any other figures. Glue them to the egg. Remove the protective layer of paper. Sprinkle eggs with glitter. 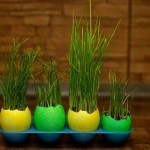 They stick to the sticky ground and you will get a shiny pattern on a smooth egg. Very easy way to make gold or silver Easter egg. 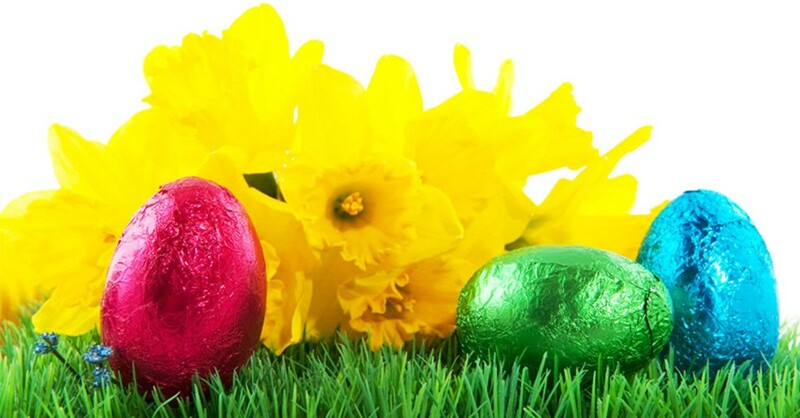 Wrap the boiled eggs in thin colored foil, which you can buy in any store for creativity. 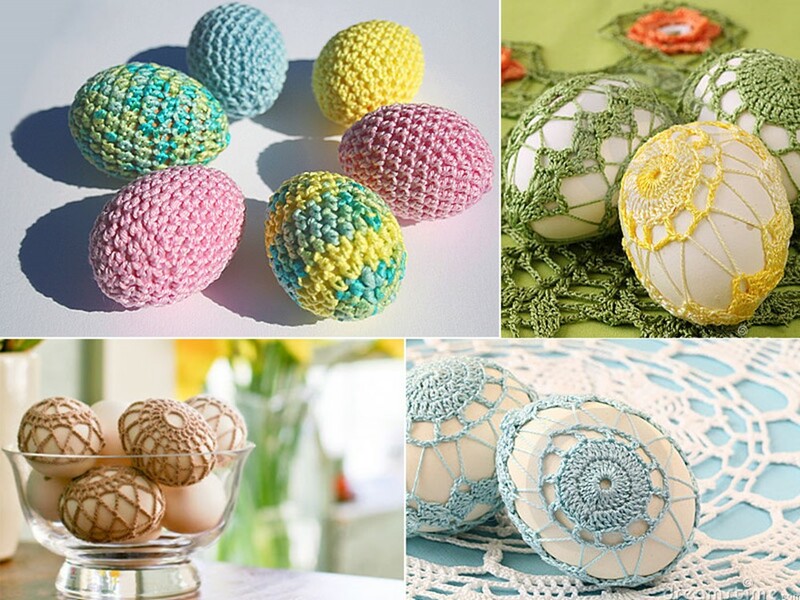 Craftswomen can tie Easter eggs with crochet, using colorful threads. You can make simple columns, and unusual patterns. 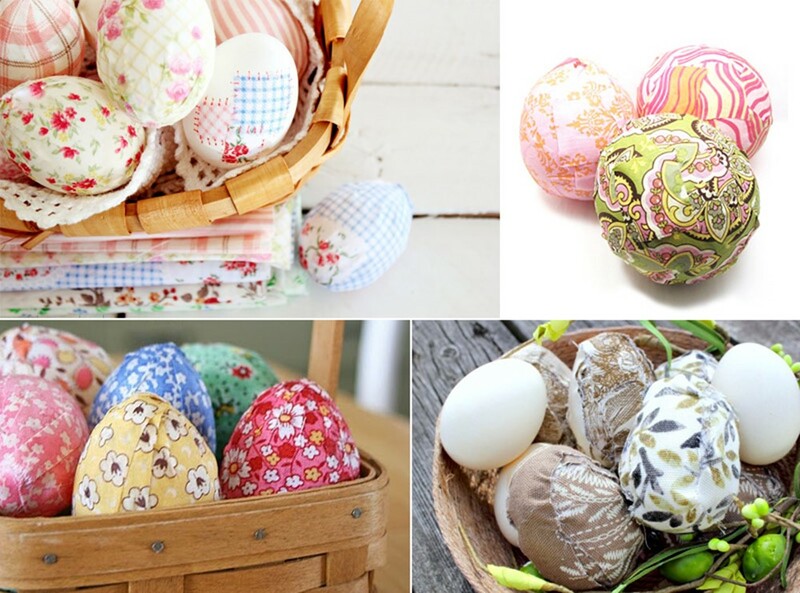 1.You can decorate Easter eggs with colored scraps of fabric. For this use a rectangular motley scraps that are on opposite sides incised thin stripes to the fabric tight across the uneven surface of the egg. To glue the fabric, the surface of the egg is completely smeared with glue. 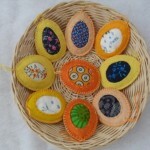 2.Another way to decorate Easter eggs with the help of patches. Cut the scraps into thin strips. The smear glue on the egg’s surface. Gradually pressing striped fabric to the surface of the egg (you should start with the blunt end of the egg), fully wrapped it. 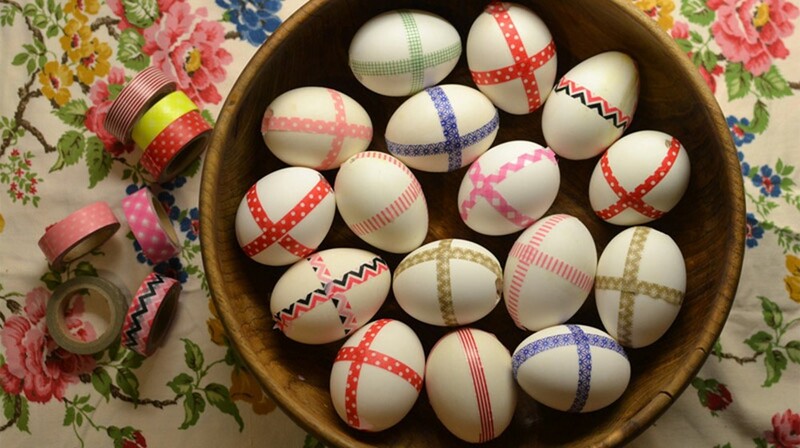 Using strips of different colors, you can create a very unusual outfits for Easter eggs.